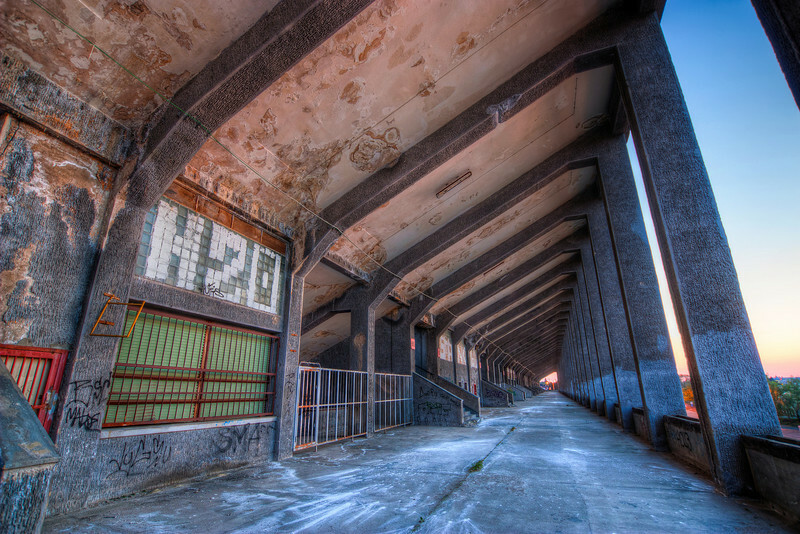 Another shot from the Strahov stadium in Prague. Taken around sunset. I really liked two thing about this. The H2O graffity and the seemingly endless row of pillars, giving a very nice vanishing point.